I do a load of laundry about 2 to 3 times a week. There isn't much that I love more than the scent of freshly laundered clothes. 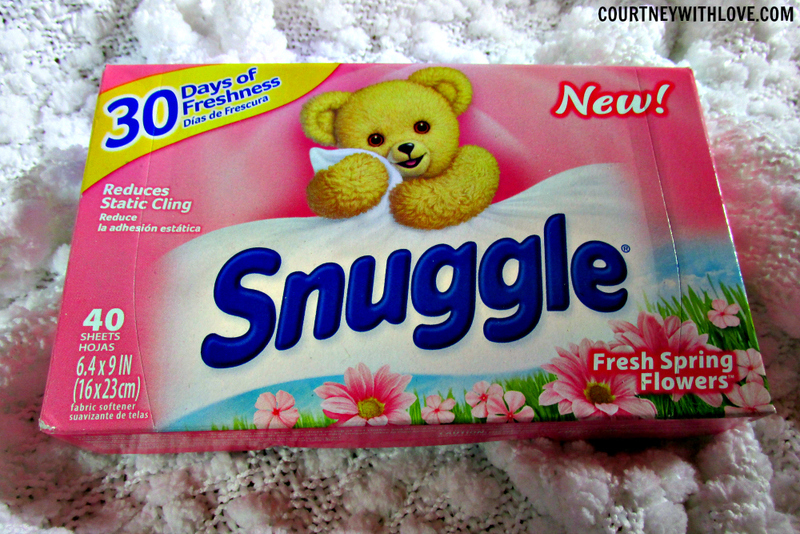 Prior to using the Snuggle Fresh Spring Flowers fabric sheets, I was using a generic store brand. While it did the job, the scent wasn't the best. It was minimally scented, and while it did provide some softness, it could be improved. After using this for over a month now, I have to say that I am never going back to the generic brand again. Snuggle will be sticking with me for a while! 1 sheet is all I need even for my largest loads. Sometimes with bedding I will use 2 sheets just for a extra boost. My clothing comes out of the dryer feeling so soft, and smelling wonderfully. Plus there is no static cling. The scent of the fabric softener sheets last on my laundry for a fair amount of time which I also like. Overall I am very pleased with the Snuggle Fresh Spring Flowers Fabric Softener Sheets! These are a keeper in my home!